Downsizing is usually done to make your life easier, but the moving process can still be stressful and time consuming so here are some tips to make it as stress-free as possible. You are probably very excited about downsizing your property and moving to the right home for the next stage in your life, but it can be hard work and it helps to be prepared. Try to move while you are still fit and healthy and can make new friends if moving to a new area. Make sure the new property serves your requirements in terms of location, size, cost and local amenities. Make sure you factor in the cost of any renovations or decorating so you donai??i? ?t have to worry about it once you have moved. Get to know the area before you move if possible ai??i?? use Facebook and join local pages to get a feel for the location and find out whatai??i? ?s on offer that meets your interests. Limit the stress of moving house by being well planned and organised. Declutter extensively ai??i?? you donai??i? ?t want to fill up your new lovely home with unwanted junk, or pay a removal company to move items that will ultimately end up in the dump. Book belongings that wonai??i? ?t fit in your new home, but that you canai??i? ?t part with, into storage. JamVans offer storage solutions to cater for your needs in the most cost effective way possible and you can rest assured that your items will be professionally packed and stored safely until you need them again. Contact BAR (British Association of Removers) removal companies for quotes and to discuss your move. Plan how the removal team will access both your old and new property. JamVans have dedicated surveyors who can advise you best on organising access and parking (and even organise the parking suspensions for you). Order any new furniture or appliances in good time as they may take 6 weeks to be delivered. Order your phone and broadband services as these can also take some time to install and activate. Set up your Utilities (the estate agent should be able to advise you who the existing suppliers are and you may wish to contact them to set up new accounts). Use our professional packing service to ensure your belongings and furniture are properly wrapped and protected. 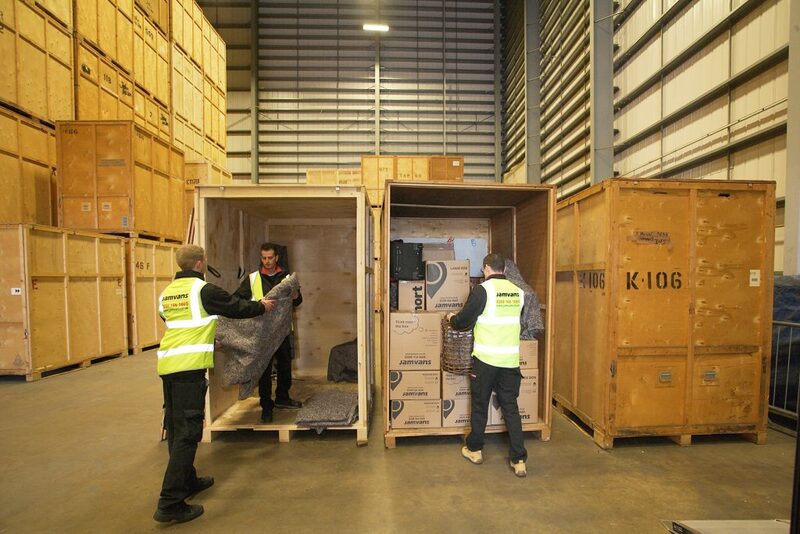 We also offer an unpacking service if required.